The Genesis Collection by Parker House features fully padded hardwood frame with Dacron wrap, ratchet headrest, and 2.0 density foam giving superior, soft seating. This collection also offers LED Lighting underneath and lighted cup holders, as well as storage in both arms. The recliners have removable back with webbing back support and completely finished back under the back flap. 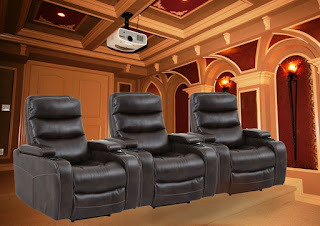 This set includes 3 recliners. As an option you might add more recliners. 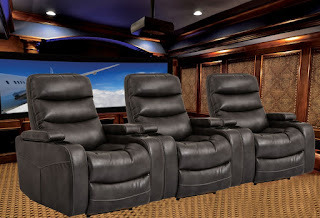 Optionally, you might also add recliner power supply for as many seats as you wish. Power supply is designed for use when a power outlet is not convenient. 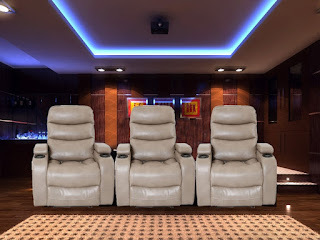 Each power recliner requires one power supply per power seat.